The Dairyman's Blog: FAQ: "Where can I buy your milk?" FAQ: "Where can I buy your milk?" 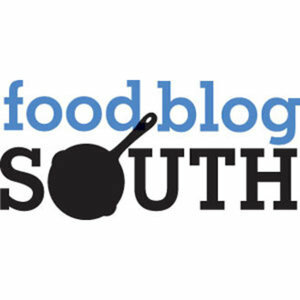 Our regional dairy check-off is one of the sponsors of this upcoming weekend's FoodBlogSouth Conference in Birmingham, and they've invited me to attend Saturday's morning session. I’ll be available to chat with attendees and answer questions they have about modern dairy farming and milk production. I thought it might be beneficial ahead of the conference to blog about three of the most common questions I’m asked regarding milk production: 1) “Where can I buy your milk?”, 2) “Are there hormones in my milk?”, and 3) “What’s the difference between conventional and organic milk?”. I’ll tackle that first question today and the other two in the coming days. “Where can I buy your milk?” is a question I am asked frequently. It’s a question I love getting, because it gives me the sense that people really do trust my family’s farm to produce milk that is safe and nutritious. We do not process and market our own milk directly from our farm, though, so the answer is not as simple as telling people to look for the Gilmer Dairy Farm label in their local grocery store. We and several other Alabama dairy families are members of a cooperative (Dairy Farmers of America) that markets our milk collectively to dairy processors. Our milk is currently being bought by the Borden Dairy Company of Alabama and processed/bottled in their Dothan facility (I think this is the only in-state company currently processing “homegrown” Alabama milk). All jugs of milk that come through that processing plant will be stamped with the code “01-3801” and can be found in grocery stores listed on the Borden website. So, there’s a good chance you are enjoying milk from Alabama cows (maybe even ours) when you purchase milk in jugs containing the above code. Regardless of the brand name or origin, though, you are helping dairy farmers every single time you purchase dairy products. Make sure you and your family members are each getting three servings of delicious, nutritious dairy every day, and thank you for giving family farms like mine the opportunity to serve you! Do you guys sell raw milk from your farm? All of our milk is hauled from our farm to the processing facility that buys it from our cooperative. Alabama law prohibits dairies from selling raw milk to individual customers due to the health risks associated with the consumption of non-pasteurized milk. To legally sell milk directly to the public, we would have to build and maintain a licensed processing facility for pasteurization and bottling. Thanks for this information. So, as a private consumer, is there any way to get raw milk for the home production of cheese and not for drinking? That would be against health regulations in Alabama, but each state has its own rules regarding the sale of raw milk. FAQ: "Are there hormones in my milk?"